Our blockchain wiki guide aims to cut through the nebular and explain the different families and trees of Blockchains. What kind of blockchains does exist? What are cryptocurrency blockchains, sidechains, and private blockchains? What are the differences between the hundreds of blockchains in existence? The proposition of the term Blockchain can be confusing. Sometimes you read the blockchain, sometimes a blockchain, sometimes blockchain technology and here and then simply blockchain. Sure, we could state, that the written word is unclear, that blockchain is a new thing, and that language simply needs its time to catch up. But this would ignore that fact that Blockchain-technology is an emerging, organically growing business, which has created a vivid ecosystem with a lot of “Blockchains”. This guide attempts to sort things up and provide an overview of the families and trees of blockchains. This is not an introduction to Blockchain. It assumes that readers are, at least roughly, aware of the concept of Blockchain and cryptocurrencies. Here Blockchain is defined as a distributed database which uses the cryptographic mechanism to enforce consensus about its content and the rules that define when and how something becomes part of the database and/or is executed. If you want to learn more about Blockchain as a technological concept, you should start with this article. Our overview on Blockchain-families discriminates Blockchains by applications and by properties. We begin with the most common, successful and tested Blockchain-application: with cryptocurrencies. Cryptocurrencies use the Blockchain to create a decentralized monetary system by building a consensus about a shared ledger of past financial transactions. Cryptocurrencies establish a system that regulates the distribution of monetary units and processes transactions, both in a decentralized kind with no authority to trust. Every blockchain which has become the host of a cryptocurrency shares two important properties: It is open and permissionless and transparent. Openness: This property has a two-fold meaning: First, the code is open source; second, it is permissionless, so that everybody can download the software and participate in the network. Both result in that every human with access to the internet can test and fork the source code and verify the validity of a transaction. Transparency: The shared ledger of past transactions, usually called blockchain, is public. Everybody can see what happens on the blockchain; there is no privacy. The most famous and successful of all blockchains, the cryptocurrency Bitcoin, demonstrated that these properties make it possible to eliminate a trusted third party from an electronic cash system and replace trust in persons or institutions with trust in a protocol. With an open and permissionless blockchain, everybody has access to everything he needs to verify or sign when receiving or making a payment. Nearly every other property than openness and transparency, however, can be altered in a cryptocurrency. Not speaking of trivial details like the blocksize, block-time or distribution of tokens, there are two powerful variables which have become the source of the creation of several Blockchain families and trees with fundamental differences: The mechanism to establish a consensus and the anonymity of transactions. This family begins with the basic attribute of all blockchains: that they organize data in a chain of blocks and add new blocks of data only when specific conditions are met which enable the system to establish a consensus about a single valid chain of blocks and thus about a single valid set and history of data. Usually, the data-adding entities are called miners and compete for this task by proofing something – something that can be verified by every other entity of the network solely with information completely availably on the blockchain. In a cryptocurrency blockchain, the miners are rewarded for this work with units of the cryptocurrency. The details of this mechanism, especially the design of the proof, is a major factor to discriminate cryptocurrency families. In Bitcoin, the miners have to invest computer power to find a block, as they need to solve cryptographic riddles. The difficulty of the riddles is set by the network, and the solution can be verified by every other participant. PoW uses cryptographic concepts like hashes and proofed itself as secure and perfectly matching the requirements of a cryptocurrency blockchain. But it has downsides, like requiring a lot of energy to keep the network secure. Bitcoin, for example, eats, roughly estimated, as much energy as Denmark or Scottland. But Bitcoin is not the onliest PoW blockchain. There is a wide range of blockchains employing several PoW-algorithms. Beside SHA 256, which is used by Bitcoin,. Ethash (Ethereum, Ethereum Classic)Equihash (Zcash) and some more. Equihash (Zcash) and some more. Newly invented algorithm aim to make it difficult to produce special purpose hardware for mining and thus keep the mining decentralized. Instead of making the miner invest their money in real hardware, like Proof of Work does, Proof of Stake makes the miner invest their money in simulated hardware. Mining is somehow like a lottery, and while in PoW you have to let your hardware create tickets, in PoS you simply get the tickets for lockings your cryptocurrency token. PoS has several advantages against PoW: It reduces the initial investment in mining, thus keeps mining more decentralized; it reduces the amount of electricity, the network needs; is secure against several attacks based on the distribution of the hardware; it produces less volatile time intervals between new blocks and thus has better scaling properties. The first coin employing Proof of Stake was Peercoin, followed by Whitecoin, Blackcoin and many others. Ethereum, currently still PoW, aims to switch on its own implementation of PoS, called Caspar, when it transforms to its final implementation. All currently available Proof of Stake coins has in common that they need an initial and trusted setup to keep a consensus, which is problematic for Blockchain purists but seems to work in practice. Maybe more problematic is the economic context of PoS, which sets incentives to hoard coins by giving a direct interest that doesn’t require any economic action. An interesting branch of Proof of Stake is BitShares Delegated Proof of Stake. This means that a number of delegates, mostly 99, are nominated by a vote of the economic majority. These delegates stake for the other participants of the network. After BitShares’ first implementation of this concept, for example, Lisk followed. With Steem another tree of the Delegated Proof of Stake established the model of a Subjective Proof of Work. If you have a limited number of mining nodes, you can let them subjectively decide when a work fulfills the conditions a proof. Steem used this concept to create a coin which is not mined by staking with funds nor by burning computer power, but by contributing to a social network and earning upvotes. An interesting attempt to use the miner’s work for something useful began with Primecoin. The developer Sunny King found out a method to make the search for a prime number to a proof of work. The Primecoin-project succeeded in finding several new record prime numbers; it proofed, that it is possible to couple the work of the miners to scientific tasks. Other coins like Gridcoin and Curecoin try to enhance this approach by coupling the work of the miners to the scientific computing tasks of the BOINC-network. While there remain doubts about the security of this procedure, especially Gridcoin established itself as one of the leading contributors to BOINC. 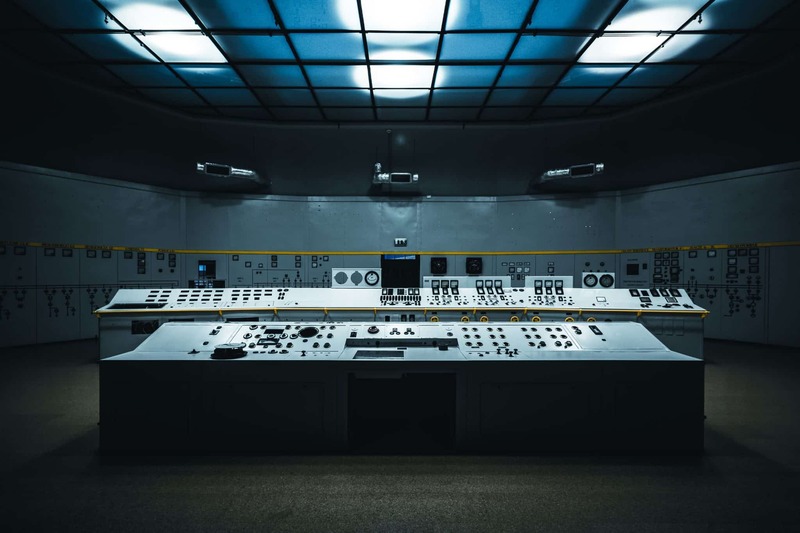 Similarly, Coins like Siacoin, Maidsafecoin, and the still developed KopperCoin aim to make the storage of files the condition for miners to find a block. This has the effect that it makes the Blockchain essentially an instrument to create a decentralized cloud storage. The cryptographic processes involved are however hard and immature and might have problems to guarantee that a miner or node keeps a file after he gets a reward and that it is always possible to download a file you uploaded into the network. Also, a nearly unlimited scaling should be a necessity for such a system, but remains problematic to achieve. Obviously the basis properties of a cryptocurrency-blockchain – openness and transparency – are bad for privacy. All transactions are stored in a public database, everybody can see them. There are already companies analyzing the Bitcoin blockchain to help governments and exchanges to track the transactions of users and to identify monetary flows connected to criminal activity. Because of this several cryptocurrencies try to established advanced privacy features. Dash, earlier called Darkcoin, implemented CoinJoin, a procedure developed for Bitcoin that combines the in- and outputs of several transactions in one transaction and thus mixes them, like TOR does for online browsing. To enable the optional use of CoinJoin, Dash established so-called MasterNodes, which earn money for their service, and which is the only known way to incentivize non-mining nodes of a cryptocurrency. The cryptonote family started with Bytecoin, but is today mostly known for Monero. Beside those, there are some more implementations like Aeon, Boolbery, Dashcoin, Digital Note, and Quazarcoin. Cryptonote does not only provide an advanced mining-algorithm but implements so-called Ring Signatures, which obscure the sender and receiver of transactions. Cryptonote is the only cryptocurrency-design that implemented strong privacy as a default. One of the newest cryptocurrencies, Zcash, invented a so-called zero-knowledge proof, which enables users to publicly proof that their transaction is valid without publicly showing any transactional data. Zcash is the only cryptocurrency which provides complete anonymity of transaction as it not only hides the participating parties but also the amount sent. If we leave the space of cryptocurrency-blockchains things, get confusing. While some people doubt that there is any useful blockchain-application other than a decentral cryptocurrency, many see a wide scope of applications for blockchain-technology in general, ranging from land-registries to financial assets, tax control and the energy trading, which, as some claim, will have a more sustainable and important impact on society and economy as cryptocurrencies. Non-cryptocurrency applications, however, are often hardly more than an idea. There is no best-practice, no success-story, no standard. There are several ideas, at best whitepapers, reports, studies, experiments and proof-of-concepts, at worst nothing but shiny websites, persuading consultants and PR-stunts. Also, there are ideas and experiments to leverage the powerful consensus mechanism of these cryptocurrency-blockchain by creating so-called sidechains. Finally, coming to blockchains which are specifically designed for non-currency applications, we see an intriguing range of new approaches and architectures. Some of them like Ethereum keep the properties of currency-blockchain – openness and transparency, and some sacrifice them, on parts or as a whole, to develop new features and properties. Take a currency blockchain like Bitcoin, but use it to transfer other things than Bitcoin. Like writing a message on a banknote, you can implement some meta-information in a Bitcoin transaction, something like “this is a share of company X”. Protocols like Counterparty, Mastercoin (Omni), Factom and Colored Coins create a layer on top of Bitcoin, which allows using a fraction of a Bitcoin to create a token for something else. For example gold, shares or other assets. These protocols are already in use. After a hack the Bitcoin-exchange BitFinex used Omni to issue shares which represented debts of users; the wallet-developer Mycelium issues shares on future profits with a crowdfunding. These different protocols compete to become a standard to issue token on top of Bitcoin. But currently, none of it could establish itself as the standard. All these protocols suffer from Bitcoin scalability restriction, high transaction fees and the problem of an indirect injection of data which always requires some additional data external to the blockchain to verify the validity of the data. 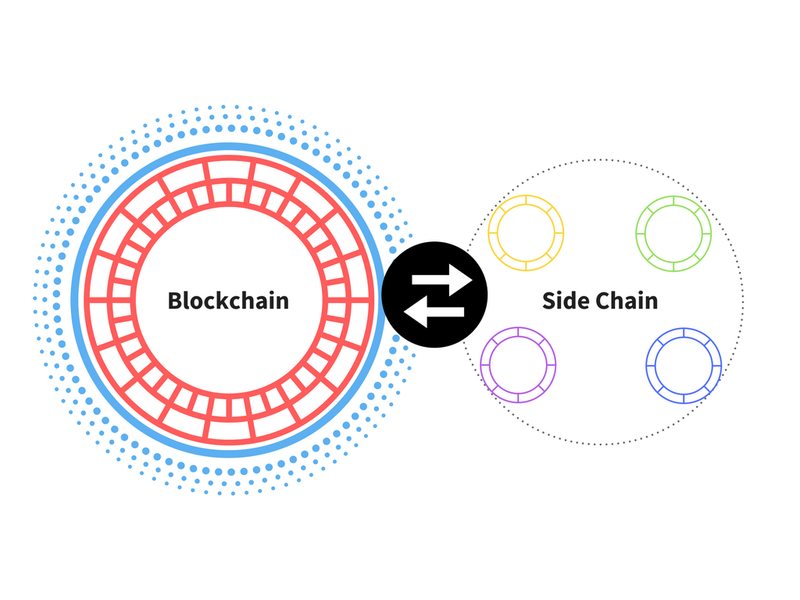 Sidechains are the idea to take an asset on one blockchain and transport it on another, without violating the consensus rules. By this, it can be possible to keep the legacy blockchain „hard“ and strong, while allowing innovation and risk on the Sidechain, for example by enabling token and smart contracts. Several groups aim to create sidechains to the Bitcoin-Blockchain. The company Blockstream developed the sidechain prototype Alpha and tested the sidechain Liquid with several major Bitcoin exchanges. While non-monetary applications are said to be possible, Blockstream currently focuses on monetary applications to overcome the privacy and scalability restrictions of Bitcoin. Paul Sztorc from Blockchain-startup bloq develops a sidechain-based prediction market (Truthchain). He aims to use the power of Bitcoin to create a sidechain in which the participants compete in guessing the outcome of future events. With Rootstock Sergio Lerner’s RSK creates a highly scalable, turing-complete Sidechain for Bitcoin. Rootstock should not only able to transfer nearly unlimited numbers of Bitcoin transactions, but it also aims to integrate an Ethereum-like scripting language and thus allow the easy and uncomplicated creation of Tokens. The vivid ecosystem of cryptocurrencies created several attempts to build Blockchains that are designed to serve non-monetary applications. Ironically it is the cryptocurrency application of Blockchain token that sets monetary incentives to build a blockchain that serves non-currency applications. The first example of these Blockchains is Namecoin, the first fork of Bitcoin: a cryptocurrency made to store little strings of data and serve as a DNS-System. While actually enabling a decentralized hosting of websites, Namecoin has never become really popular. It was followed by Bitshares and Next, which integrated a mechanism for marketplaces in its scripting system and thus in its consensus-mechanism. Also, the filecoins Siacoin, Maidsafecoin, and Koppercoin fall under this category. All these Blockchains, however, share with Bitcoin that their scripting-system has a hardcoded and very limited scope of operations. With the rise of Ethereum, the internal scripting system of a Blockchain became for the first time turing-complete, which has become the new standard for non-monetary blockchain-application. In its short history, the Ethereum-Blockchain became host to an astonishing amount of token, shares and smart contracts, which have been heavily used to crowdfund projects. With Ethereum many things become possible that are out of reach for other blockchains. For example, you can build token which regularly pays out something when some conditions are met. Or you can create complex self-executing Smart Contracts which become the base of Decentralized Autonomous Organizations (DAO). And many more things, more than you can imagine. Ethereum, however, has several downsides. One is part of its design – it’s complexity and openness, which can become the entry point for many attacks, as a series of attack in autumn 2016 demonstrated. Also, the future of Ethereum is unclear. It is not clear by know if the developers will be successful in transforming the blockchain to PoS; the token economics of Ethereum beg questions to the longterm security of the network, and it is not said that Ethereum will solve the scalability problems. But beside this Ethereum is by far the most interesting new public blockchain. Essentially, instead of having a fully public and uncontrolled network and state machine secured by crypto economics (eg. 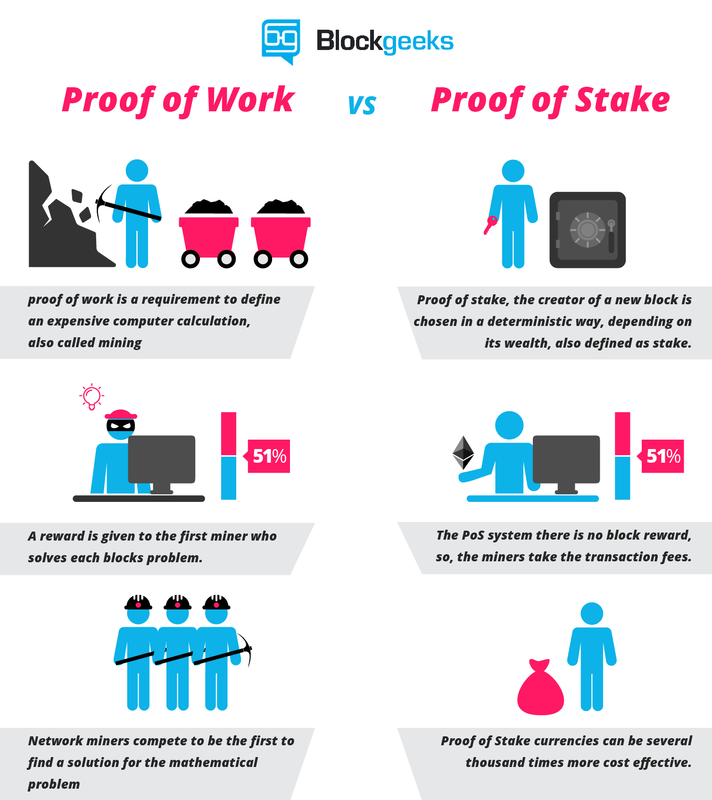 proof of work, proof of stake), it is also possible to create a system where access permissions are more tightly controlled, with rights to modify or even read the blockchain state restricted to a few users, while still maintaining many kinds of partial guarantees of authenticity and decentralization that blockchains provide. That a blockchain is open and permissionless means that the system’s capability to scale is as low as the capability of its weakest node. Additionally, the transparency of a public blockchain means that the privacy on a blockchain is seriously reduced. Both are attributes which can make a blockchain completely unusable for major companies, as these need a high degree of both scalabilities as privacy. So the idea was born out that you can build a blockchain that doesn’t comply with these conditions. You can build a blockchain where the process to find consensus is a permission and restricted on a consortium of trusted nodes, and you can build a blockchain where also the whole history of the ledger is hidden from the public. There are numerous examples of attempts to create such kind of private blockchain. One approach is to do this with sidechains. Blockstream and Rootstock, for examples, want to use closed and federated sidechains to overcome limitations of public blockchains, to increase the privacy of transactions and to implement Smart Contract applications. Lisk, the cryptocurrency built for smart contract sidechains, also enables the creation of private chains. Other entities, however, build completely new blockchains. As of now, there is a confusing variety of private and permission blockchains, which is hard to overview, while nearly no one of it is ready for production. Other than with cryptocurrency-blockchains there is no standard, no leading blockchain you can rely upon and no token that is traded on the market and whose price serves as an indicator of its popularity. But let’s get through some of the attempts to employ closed blockchains. Precisely: Corda only allows banks and regulators to participate; it has no globally sharing of data, and it’s consensus mechanism are tailored for its purposes. Ethereum Enterprise is a project of several actors in the Ethereum space and outside, aiming to create a closed version of Ethereum that serves the needs of enterprises. There are not many details known. Ethereum Enterprise should create the scalability, security, and privacy which the public Ethereum can’t provide; its roadmap should follow the roadmap of the public Ethereum, and it should stay compatible and maybe interoperable with it. Tech company Max builds Eris, a blockchain framework, which enables companies to build, run and host their own blockchain with various smart contract application. Eris is a blockchain with features like Ethereum, but permission and closed, so it is more or less what Ethereum Enterprise aims to become. Eris is used for example by Every ledger to record the history of diamond certificates. The Hyperledger project around the Linux Foundation develops several Business Blockchain Frameworks in cooperation with companies like Intel and IBM. Precisely it is the private Blockchain projects Fabric, Iroha, and Sawtooth Lake. These three Blockchains are still in incubation and neither tested nor used, but they represent different approaches to create new kinds of Blockchains designed for different non-monetary use-cases. The company Axoni provides Blockchain solutions for financial markets. It promises a high throughput, advanced smart contract and a private data management with its private Blockchains. One of the first and most prominent clients of Axoni is world leading clearing house DTCC which aims to use Axoni’s blockchain solution to improve the post-trade settlement of derivates. Consultant company Accenture proposed a blockchain project in which the use of the so-called Chameleon hash enables an administrator to edit the blockchain in a way that every participant can see that there something has been edited. This could enable interesting applications and is one of the most interesting private blockchain projects, but it is not known that it went beyond the stage of a proposal. BigChainDB by German startup Ascribe is a mix of Blockchain technology and distributed databases. It aims to combine the immutability and security of a blockchain with the scalability and searchability of distributed databases by mixing both technologies and enabling a private setup between trusted parties. As founder Trent McConaghy explains: BigChainCB is for people who want a scalable, queryable database with blockchain characteristics (decentralized, immutable, native assets).